Pay-with-Mobile, the new Smart service eliminates the need for credit card when paying for apps, and other cool stuff. With the use of prepaid load or charged on top of their monthly postpaid bill, subscribers can now enjoy a whole range of wonderful stuff that is exclusive for their iTunes accounts. This new service will start rolling on February 16, with full availability by February 18. 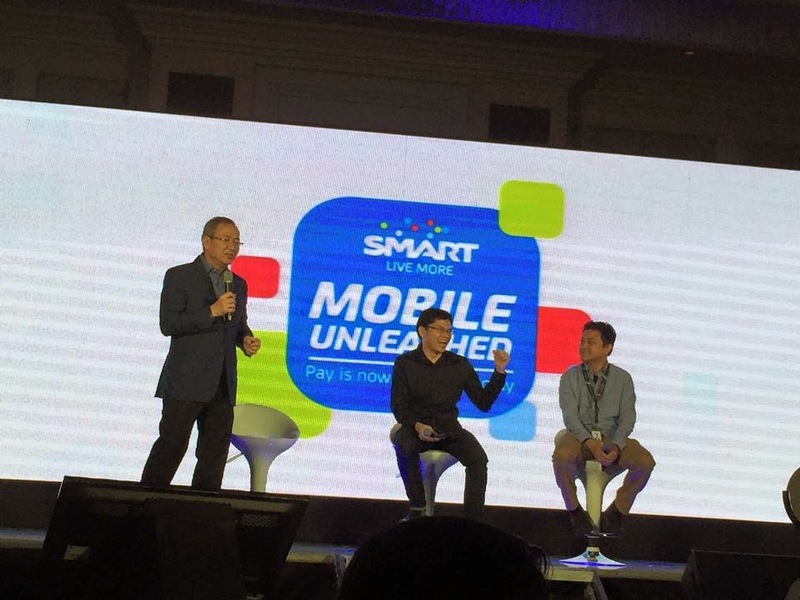 "Smart understands that not everyone owns a credit card, but that shouldn't stop people from realizing the full potential of their mobile devices. 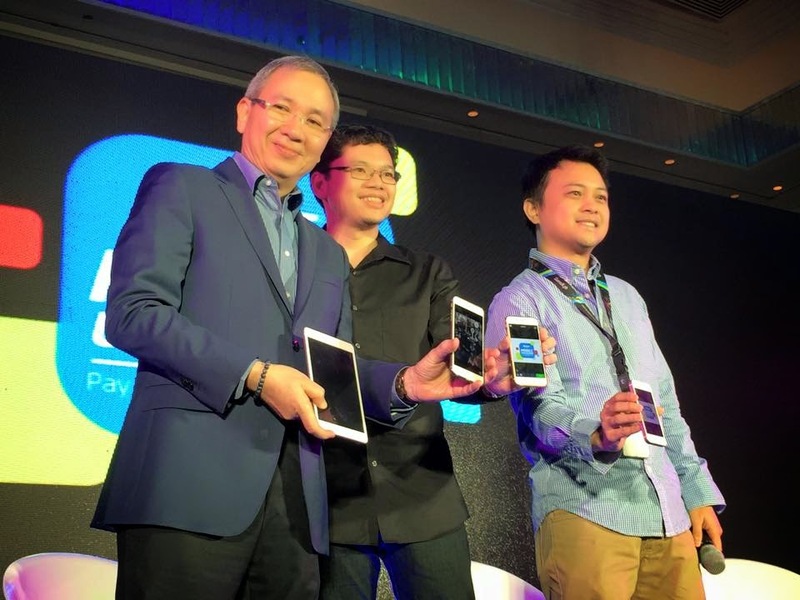 This is why we have worked hard to bring this groundbreaking service to Filipino users, which we believe will further revolutionize the way they enjoy their favorite lifestyle apps and content on their devices," said Charles Lim, EVP and Wireless Consumer Division Head at Smart. 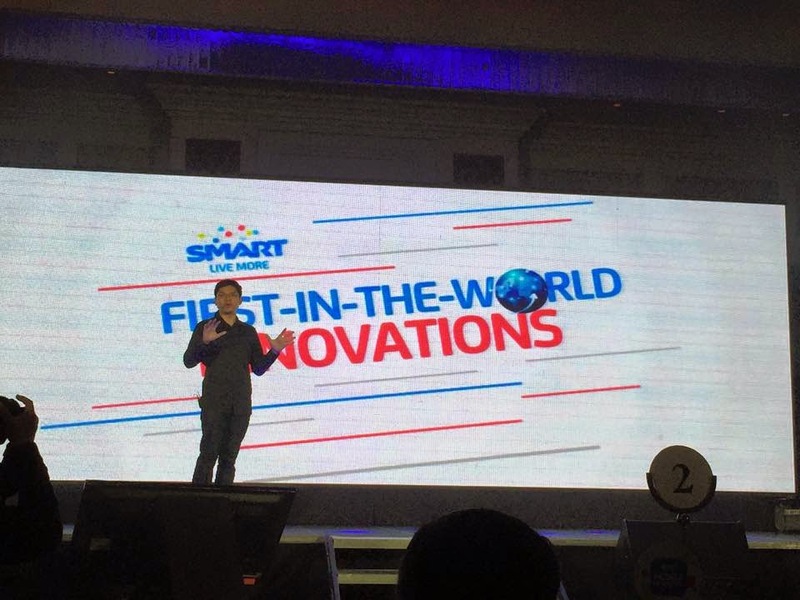 "This is yet another way that Smart is making mobile internet fun, fast, and worry-free for all of our subscribers." Simply register by texting REG to 4949 and your Smart number will receive pay-with-mobile-number and other pertinent account details. Users can then go to their Apple ID Account Settings on iTunes or the App Store, and select "Mastercard" as payment option. Once the number is associated with the account, users can easily purchase apps, games, movies, and music on their devices. Notification will be sent for every successful transaction. 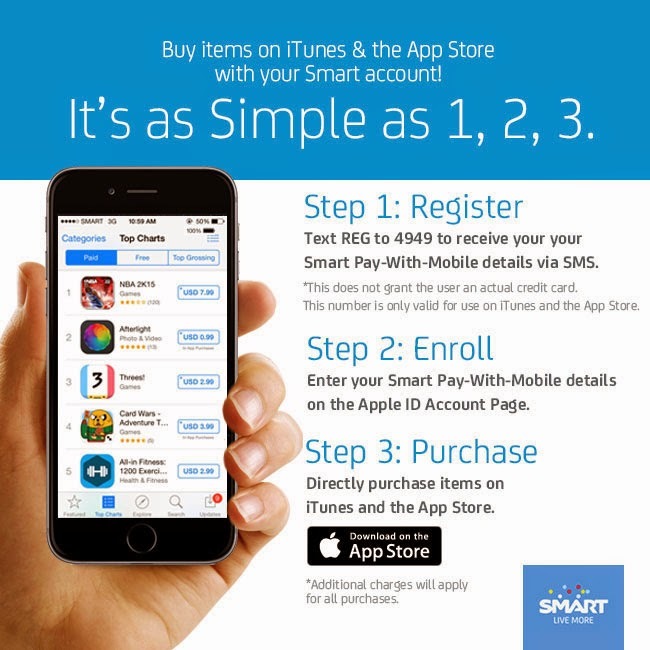 For more details, visit http://smart.com.ph/ or go to your nearest Smart Center Hub.